The food industry parallels with life. Not that other industries don’t, but there are certain concepts that just align with living a fulfilling life. I often allude to the “stereotypical chef” in my blog posts. However, while Gordon Ramsey is being glorified on TV, not many real life kitchen environments are portrayed correctly to the public. Have you ever been to restaurants like Per Se and Eleven Madison? If you’ve never been, you haven’t witnessed the well-oiled machine. Course after course comes out on time, delivered to your table at its peak, ready to be devoured immediately. So many cogs and wheels turning and firing at just the exact time they need to, making your experience as seamless as possible. In a perfect world, that would be happening every moment. In the restaurant industry, that’s surely never the case. Things are wildly predictably unpredictable. Just like in “real” life. 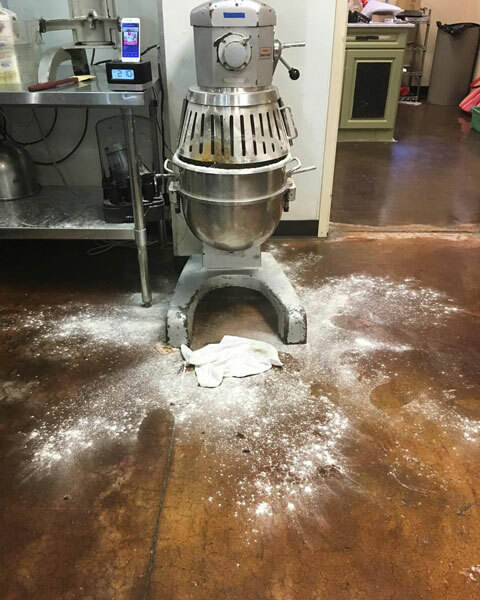 There is always a challenge waiting to be met, whether your sauté guy never showed up, your purveyor delivered frozen pizzas instead of potatoes (actually happened), or you get slammed in the kitchen with several large parties at once. You are always on your toes, ready for the next wrench to be throw into your well-oiled machine. Just like life. Precise communication is key in these instances, and always helps pull us out of the weeds. This forces us as human beings to be pretty good at going with the flow and adapting to change. Just like life. Nothing is ever as it seems, so we’ve learned to realize that in life as well. Change is not bad. While most fear change, wrenches in your day almost always yield important valuable lessons. Being able to adapt and learn quickly is a blessing. It’s what every good chef/baker/cook learns—and it’s what life teaches us all. We find this lesson a corner stone we’ve built Ability 2 Work upon. Teaching the population least known for its ability to change and flexibility the need for this skill to feel happier in your life. Here at Baker’s Treat, things are always changing. Sometimes expected, sometimes not expected. We’re constantly changing and tailoring things to excellence, and we believe stagnancy in unacceptable. The unexpected? Well the pizzas instead of potatoes definitely did happen. But working with our Ability 2 Work apprentices and working with the public yield many unexpected challenges. Sometimes a student is having a challenging day and is on the verge of melting down, while lunch rush has just hit, we’re somehow out of pork roll (yes, horribly un-new jersey of us), and someone accidently poured all of the flour for their recipe all over the floor. Our heads are spinning, yet we center ourselves (deep breaths are BIG here), walkie each other and everything gets sorted out in the fastest way possible. There is no yelling, no anger—in fact lots of chuckles through our crazy moments—humor gets us through. It’s very UN “TV” esque. The most important part? Is that no matter how crazy our days get, we always get to end them with high-fives, smiles, laughter, and getting to see our differently-abled students blossom into these beautiful bright and happy adults. And that is the biggest blessing of all. Just like in ‘real’ life. And the food shows it. Join us for ‘life’ at Baker’s Treat, I promise it will put a smile on your face, joy in your heart and love in your tummies.